You cannot go through Kitchen Town without enjoying the plastic food. 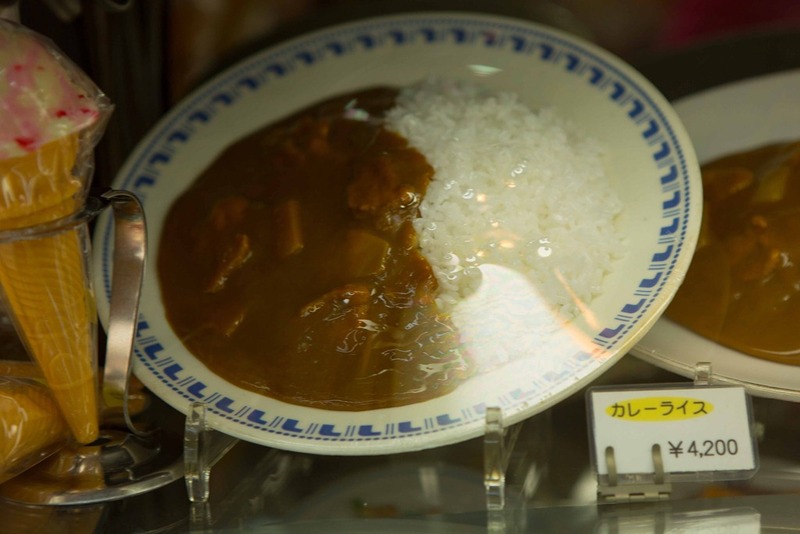 A very robust industry exists as many, many Japanese restaurants display plastic food in their windows. I am not sure that it is an effective sales strategy, as it doesn’t look very appetizing to me. I am not sure what this is supposed to be, but it would not bring me into the restaurant. Everyone likes pizza. Even extra cheesy pizza. 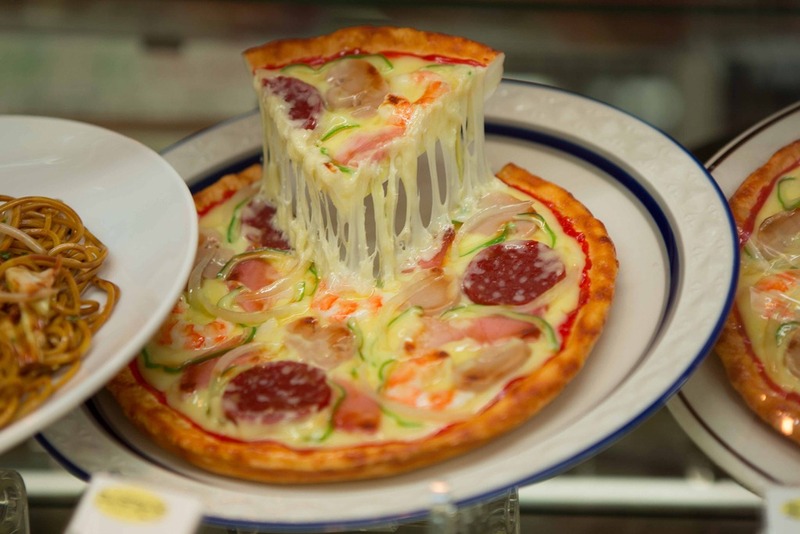 In fact, so much cheese that the slice is suspended in mid-air. Of course, beer. 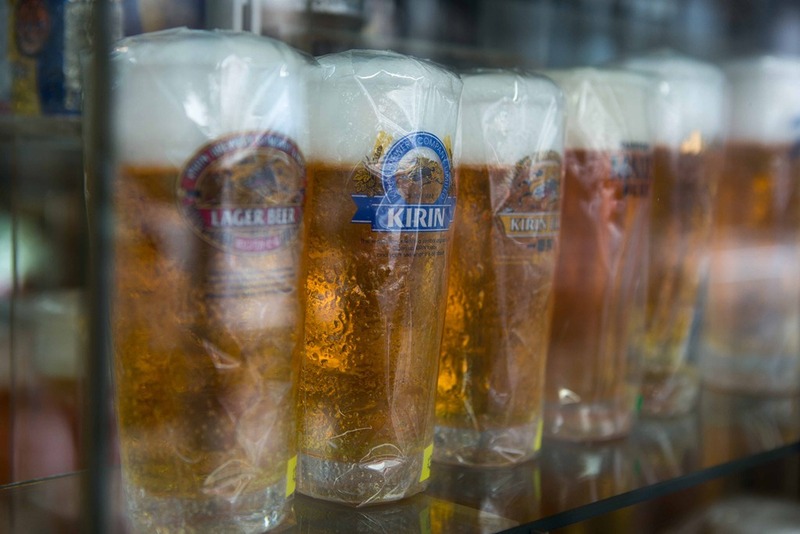 And if you look at the below, this is how beer is poured in Japan – with a huge head. 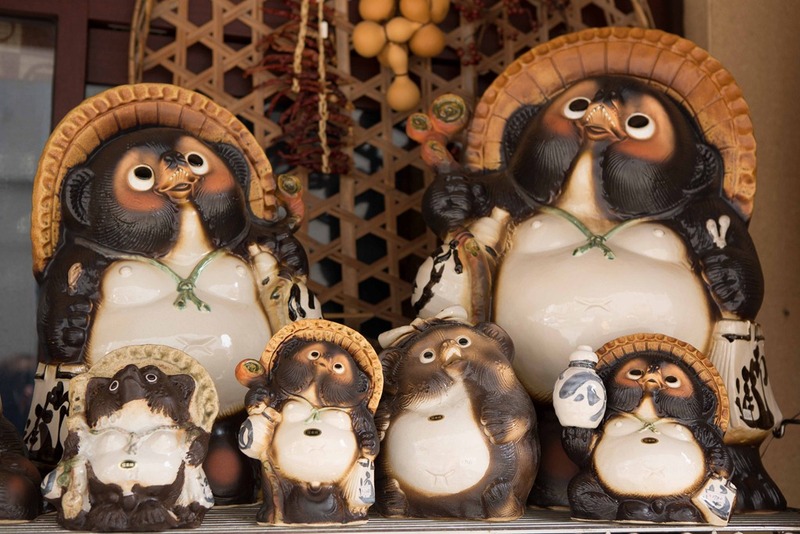 There are also little statues of Japanese raccoon-dogs all over the town. I saw these in a little antique shop. A fun side trip. Set aside a couple hours to just look around. This entry was posted in Our Asia Adventure and tagged Japan, Kappabashi-dori, Kitchen City, plastic food, Tokyo by michaelweening. Bookmark the permalink.